Are you still using traditional paper invoicing? Your clients won’t be too enthusiastic when forced to put aside a good portion of their valuable time in order to sort through your paper invoices, file them and maintain payment timelines. You, on the other hand, will have to put up with the hassle of managing all that paper: can you really afford to lose so much of your time on paperwork, when it’s better spent working on other aspects of your business? Invoices are done on a daily basis, and that’s great for your growing business: however, it’s easy to get overwhelmed and discouraged by the complexity of all that paper handling and invoice tracking while hard pressed for time. It’s hard to keep track of all of the invoices and their processing status: can you tell at a glance if all have even been received? That’s very unlikely. Maybe it’s time to move to the latest online technology: Email Invoicing! Because, what is a business without a healthy cash flow? Only an expensive hobby, eating your existing assets and your valuable time. Your business will reach its full potential only when your ideas can be turned into sales, and those sales into money! All the stages in this process have to be done as quickly and efficiently as possible! That is impossible to achieve without setting up a proper invoice tracking software. You will soon discover that email invoicing offers numerous benefits that greatly surpass any possible benefits that the traditional invoicing processes may have. Once you start using online invoicing, you will never look back! 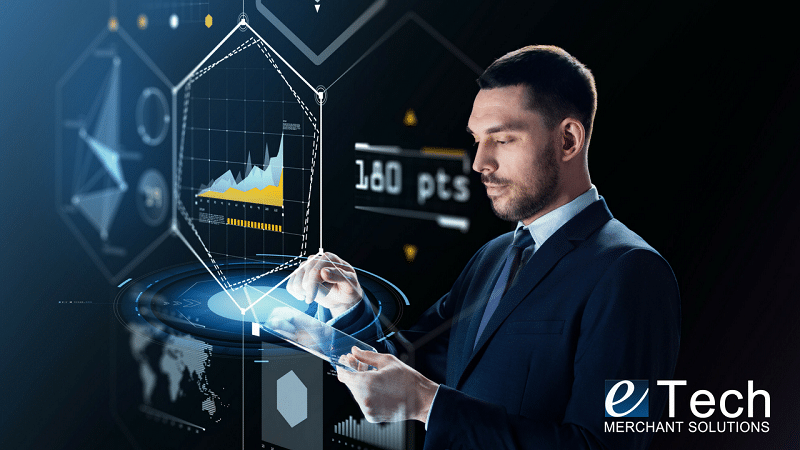 eTech Merchant Solutions brings you the latest technology available to running your business more easily and effectively. Introducing USAePay. This software is so intuitive to use that you can easily learn to customize it to fit any specific needs you business might have. You can choose from an assortment of professionally designed invoice templates. The invoices you send will have your company logo on them, which will increase your brand awareness and give you a more professional appearance. Nobody wants to deal with amateurs! Using the USAePAY invoice templates , you can be sure that all the invoices you send are above standard, and everything is laid out clearly for your client and formatted properly. Using online invoicing also sends your clients an image of your company as a technologically astute business. Furthermore, your business will become better organized: with online invoice tracking, you will know exactly which invoices have been already sent, which are to be sent next, and which ones are already paid. You can keep tabs on all of your business cash flow, expenses and profit – at any time, day or night! Draft the invoice as soon as the order is received, and then all you have to do is schedule it when the bill is due. Done! Your office space will be freed from those mountains of paper: scan all the forms and documents, and save them as files in your online invoicing software. No more overflowing cabinets and stuffed drawers: you are giving yourself a bigger office as a reward for being smart and using an online invoice tracking system! Whenever you need a particular document, you will know where it is and that it can be retrieved easily. 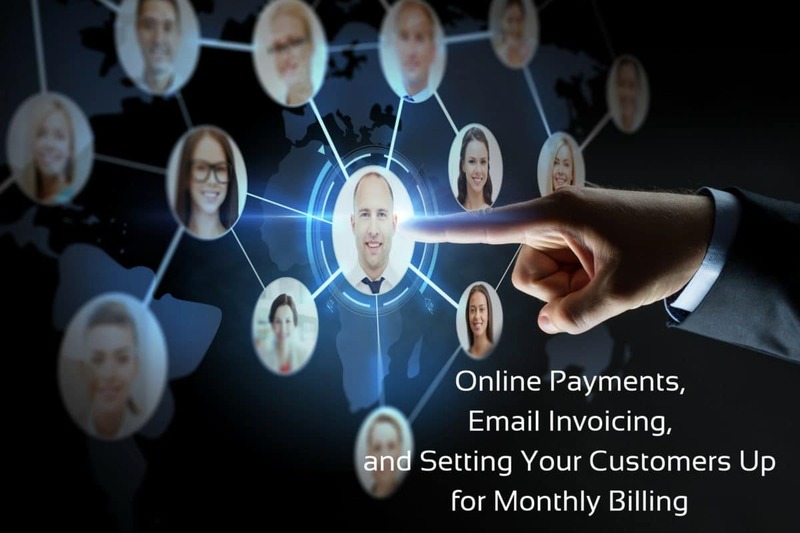 Online invoicing is simply more convenient for all involved in the process: since everything is in one place – online – all you have to do is attach the invoice to the email that you send to your customer. It’s as simple as point and click! You don’t have to be chained to your office chair to send invoices, which is godsend for those business owners who travel a lot. You can create invoicing from any place in the world with internet access. Everything is available online, and thus accessible from anywhere by the click of a button. Online invoicing is fast: delivering invoices is rapid, and so is the response! Sluggish invoicing can cost any business a great deal – using online invoicing eliminates that! No more postal delays and waiting to be paid for your hard work! If a client “forgets” to pay in an allotted time, he will be sent a courteous reminder automatically by your USAePay software. When using USAePay , you don’t have to possess an in-depth knowledge of accounting or bookkeeping either, and using the software itself is easy to learn. USAePay does all the hard work for you, and – since everything is automated – the accuracy is assured. You can sleep better at night knowing that the compliance of your business invoicing process to all the relevant regulations is guaranteed. All records are always up-to-date since all transactions are automatically recorded to your online cloud account. Simply put, email invoicing is a much easier, less time-consuming way to keep track of your business cash flow and to maximize its earning potential!